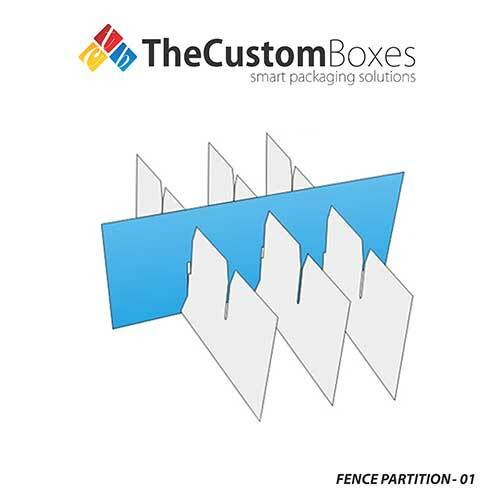 Sometimes the packaging requires an additional safety which can be sorted out through Fence partitions. These are very easy to assemble and required no effort. Can come up with any custom shape and size according to the product requirements. As the name says it all, these are additional supportive and sectioning gadgets to be added up to the packaging boxes when a product requires extra support in its packaging. 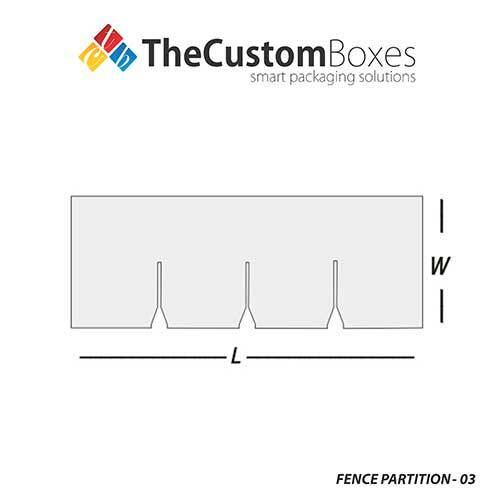 This gadget also serves in as a sectioning object when the number of products to be packaged inside of the box are more than one and require to be kept apart from each other while staying protected and bi sectioned. 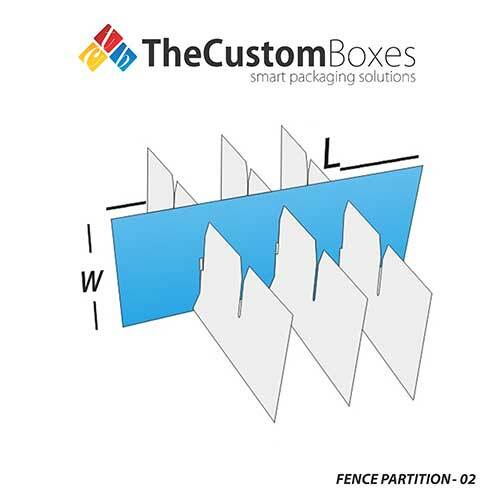 These partitions can be acquired in all custom shapes and sizes depending upon the requirements and demands of the respective products that are to be preserved within them. They are an ideal support for packaging of delicate crockery items such as tea and glass sets where there is a requirement to keep the objects at a relative distance from each other while not being allowed to get in contact.